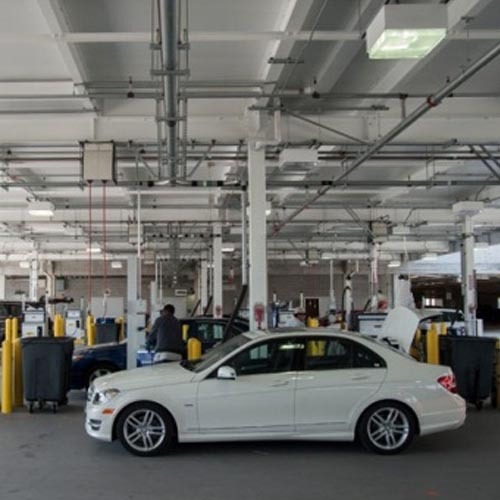 The rental car facility includes an extensive storm-water-drainage system that culminates into a 3-million-gallon detention vault fed by 2-16 inch stormwater mains. The facility will ultimately support offices for ten rental-car companies and 5,000 parking spaces throughout the five-story garage. 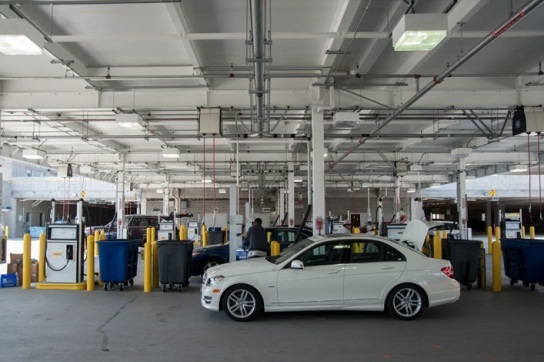 In addition, the new, quick-turnaround facilities will dispense over 100,000 gallons of gasoline stored on site through 48 pumps, as well as a stainless-steel piping system designed to supply windshield washer fluid.